If you’ve been looking to sell your current Mercedes-Benz, there are a lot of different ways you can do it. Selling your vehicle doesn’t have to be difficult or time-consuming, you just have to know the best and easiest way to go about doing it. One of the simplest and most stress-free ways to sell your Mercedes-Benz in Newport Beach, CA is to bring it to Philips Auto and have us sell it on consignment for you. The following list will show you the top four Mercedes-Benz models to sell on consignment at Phillips Auto in Newport Beach, CA. Mercedes-Benz S-Class. 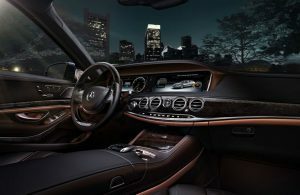 The Mercedes-Benz S-Class is the most luxurious sedan in the auto industry and offers an incredible list of comfort features and innovative technologies. If you are looking to sell your Mercedes-Benz S-Class on consignment in Newport Beach, CA or you are interested in buying one, Phillips Auto is the best place to do both. Mercedes-Benz SL-Class. The Mercedes-Benz SL-Class is a sporty yet luxurious two-door that can be had as either a coupe or convertible. It offers an outstanding list of features and options to choose from as well as excellent performance on the road. Mercedes-Benz AMG GT. The Mercedes-Benz AMG GT is a high-performing two-seater that delivers exciting driving dynamics. It is available as a coupe or convertible and offers all of the amenities you could ever need. Its normally high price tag makes it one of the best Mercedes-Benz vehicles to sell on consignment in Newport Beach, CA. Mercedes-Benz G-Class. The Mercedes-Benz G-Class is one of the most recognizable SUVs on the planet and one of the best off-road vehicles you can drive. Its luxurious interior offers all of the comfort features and technologies you could ever want or need in an SUV.